This record and performer make up one of the amazing stories of Wavelength-type music. 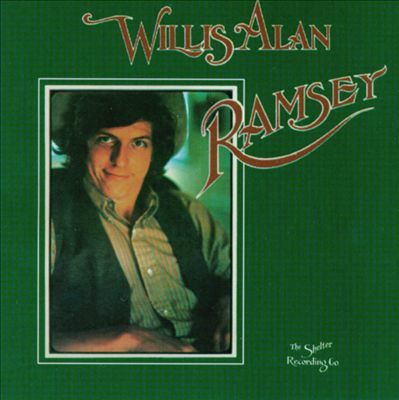 Willis Alan Ramsey was a pioneer in what became known as Texas music, releasing this terrific self-titled record in 1972—before Guy Clark recorded anything and before Townes Van Zandt had made a name for himself. It was full of terrific songs, several of which became standards—such as “Muskrat Love,” “Northeast Texas Women,” “The Ballad of Spider John,”and “Goodbye Old Missoula.” Some were funny, some were lovely, some told great stories. And Ramsey was a great performer, I saw him in Oregon not long after this record came out. But this remains his only recording. Hard to beat perfection….